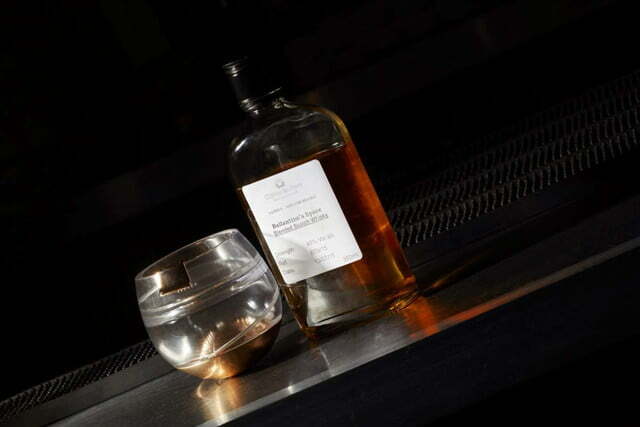 If there’s one drink you just can’t enjoy out of a vacuum-sealed sippy pouch with a straw, it’s whisky. Let’s face it — nothing strips the intrigue and finesse out of a venerable liquor like plastic and tubing, which is how astronauts today must consume most of their beverages. 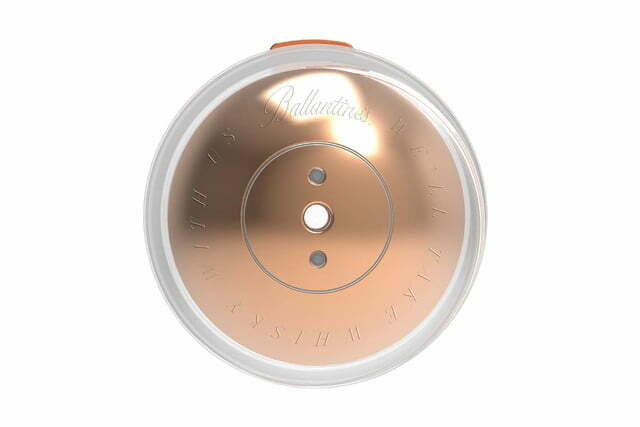 But here to restore some dignity to this most dignified drink is Scottish distillery Ballantine’s, which has finally resolved astronauts’ pressing need for a zero gravity glass, allowing the denizens of the International Space Station to have a righteous night cap sans straw. 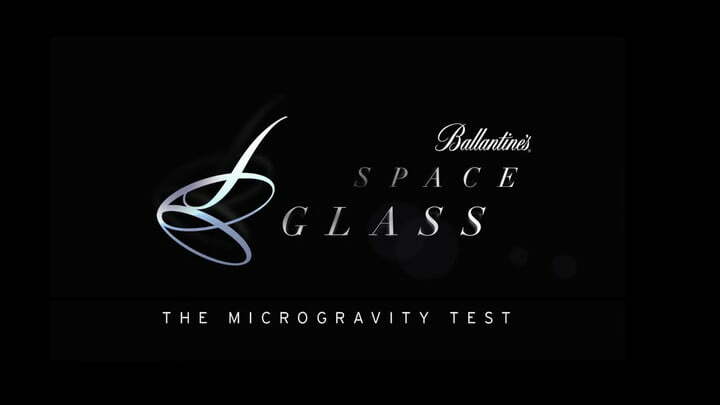 Clearly a forward-thinking company, Ballantine’s is anticipating the need for such a glass as the space tourism industry takes off over the next few decades. 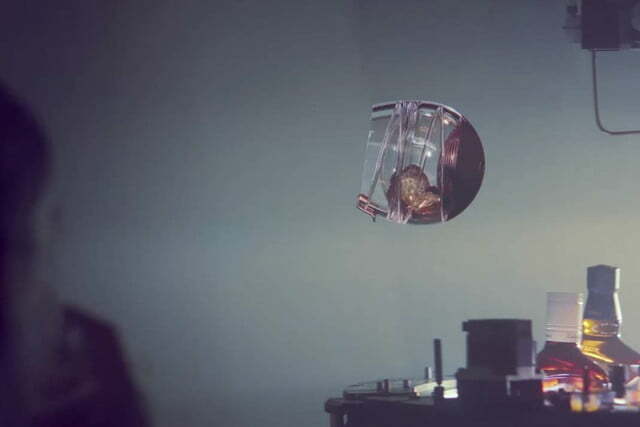 And given that the habits of the rich and famous, who will make up the first wave of space tourists, often include fine wines and liquors out of finer crystal and stemware, Ballantine’s is borrowing against future capital and meeting the demand they are sure will soon come. And boy, are they ever ready. The glass is a piece of art in and of itself. 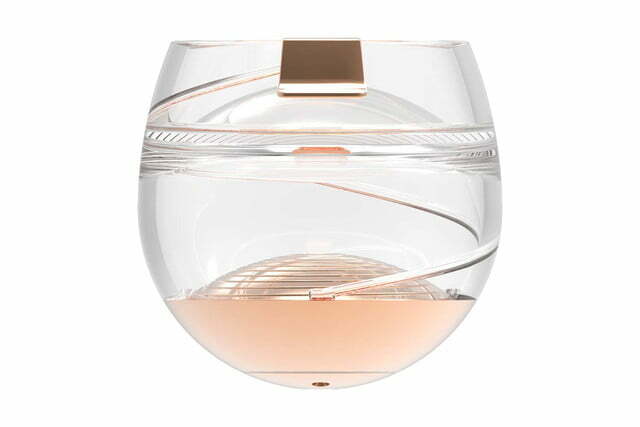 A rose-gold-plated stainless steel convex base forms the foundation of the revolutionary vessel, with the surface tension maintained by its spiral design ensuring that the whisky will actually stay put and not float off in an amorphous blob. 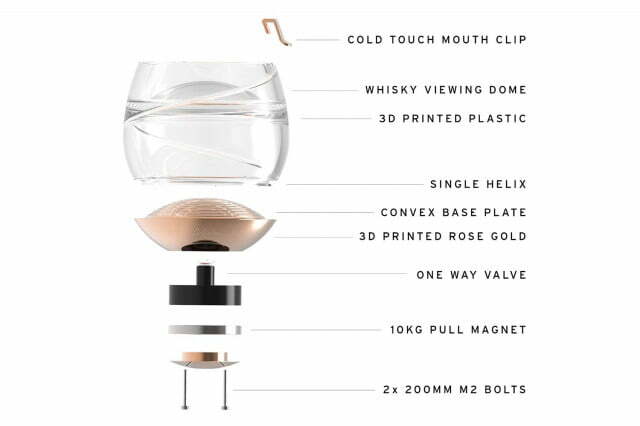 Beyond that, there’s a helix winding its way up the glass that contains a small channel, which uses capillary action to coax the whisky to yet another gold component — a mouthpiece — where the drinker takes a sip. Who knew drinking could be so complicated? 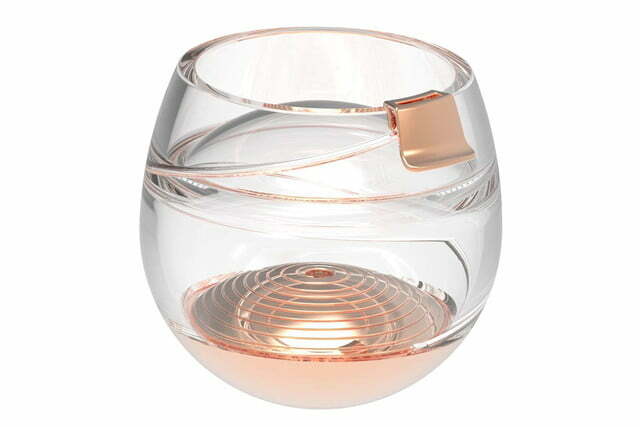 Ultimately, Parr noted, the goal was to recreate the experience of drinking whisky here on Earth, only in a zero gravity situation as one would have in space. 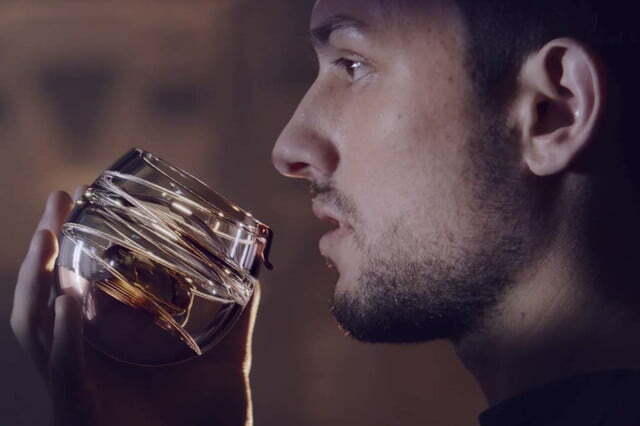 Even the whisky itself had to be rethought a bit to ensure an analogous scenario. 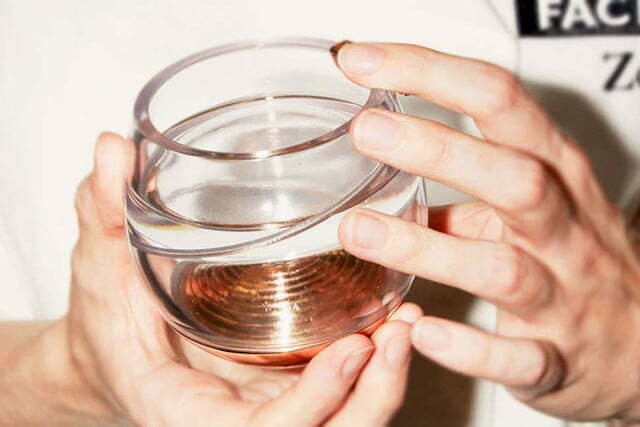 While it may be a while yet before this whisky and whisky glass are put into action, it’s good to know that we’re well prepared for our space travels. 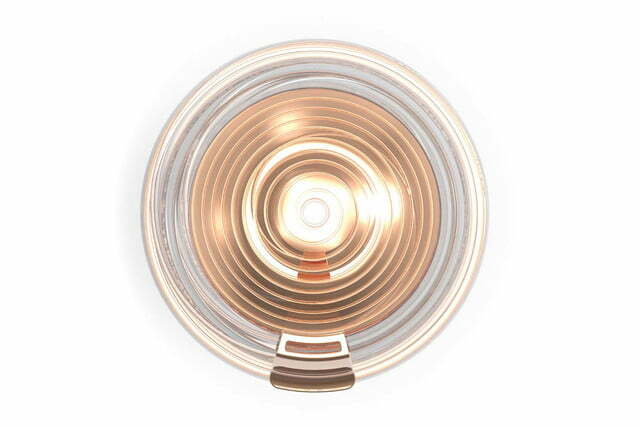 After all, what better way to enjoy the view from way up there than with a good glass of whisky?